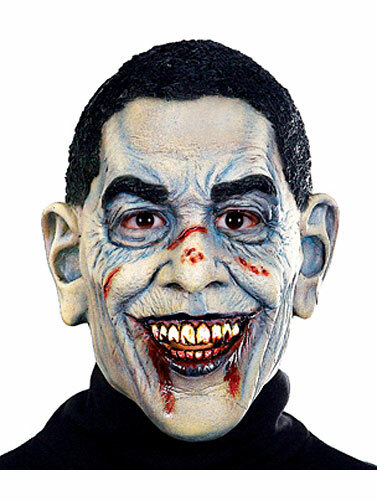 Pay homage to the current leader of the zombie nation, Barack Insane O'Zombie. Striking likeness to President Barack Obama. Great way to show your support during an election year. Made from natural latex rubber. One size.